We sometimes become so occupied with our responsibilities that we often lack time to make a home cooked meal. However, just because we do not have the luxury of time does not mean we cannot enjoy a good meal. Since cooking a decent dish is not an option, we often result to eating out. A great dining experience does not only come from a restaurant that has a 5-star ambiance or expensive gourmet food. You can eat at any fast food chain, restaurant, or even a food truck and still get the most of your dining experience. 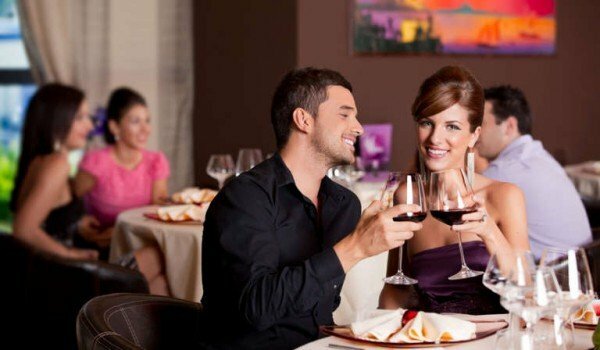 Below are some tips for people who wish to enjoy every bite and every dollar spent on dining out. We should all know that ordinary and not so ordinary people can experience an amazing dining experience regardless of the type of restaurant they dine in. This experience is not limited to those classy, fine dining restaurants that would charge you a lot of money for just a single dish. You are in charge of your own dining experience because it is not like it is a rarefied skill that you should have. What makes super expensive gourmet restaurants differ from casual diners mostly involve training, style, and scale. Let us put it this way, all restaurants are basically members of the same specie and they only differ on the genes they possess. You need not to be in Paris or Italy or New York for you to enjoy your food. Although geographic location plays a factor, at the end of the day they are still restaurants. From gourmet restaurants, to casual ones, to barbecue places, hotdog stands, pizzerias, diners, and food trucks, from they still more similarities as compared to their differences. You need to remember that some of the best dining experiences happen when you least expect it. Mine mostly happened on family-run restaurants like Denny’s. A lot of people think that you need not to put in effort if you are dining out. If you are a part of this club, then you should change your mind set if you wish to have an amazing dining experience. Just as any form of activity like waking up or taking a bath or any form of relationship from friendship to marriage, if you want to get outstanding results, you need to put in a lot of effort. Take dining as something like purchasing a new phone. You get to have a couple of options. First option, which is the effortless one, will just entail you walking in the store and pick up whatever the sales person recommends to you. Second option would require you to exert a lot of effort by doing some research, you go watch some unboxing videos or read some consumer reviews, take advices from tech experts, and compare phones before you head out and purchase it. You place a lot of effort maybe an hour’s worth or two because you want to purchase something that is really worth the money you shell out. The same kind of situation happens when you dine out especially if it is your first time at that certain city. If you want to enjoy the dishes the city offers, then you have two choices: be a passive restaurant diner or enjoy your dining experience by participating actively. This does not only apply to vacation goers since you may also apply this when eating at your favorite restaurant like T.G.I.Friday’s. Having an outstanding experience does not only mean good food. Sure, the food part takes a huge percentage when we judge a restaurant but it does not only stop there. We have a lot of other things to consider if we wish to make the most of the money and time we spend. A great ambiance is one of the things that would definitely matter. You may give a restaurant a so-so rating when it comes to their food but if they provide their customers a happy vibe, the experience becomes more than just “so-so”. Also, courteous and accommodating staff makes everything worthwhile. However, like the second rule, you also need to take part in this. You should also be nice to everyone who serves you and treat them how you want to be treated. If this happens, everything will feel lighter. Nothing can compare to a restaurant that not only serves good food but also takes good care of their customers just like my experience with Ruth’s Chris Steakhouse. They not only serve the best steak but their employees are super nice as well. To sum everything up, the key to an outstanding dining experience also depends on you. If you become an active diner, then that would really make a difference.